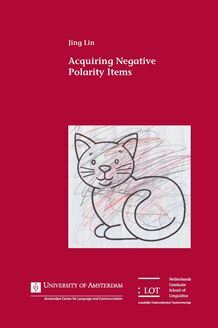 Negative Polarity Items (NPIs) are words or expressions that exhibit a restricted distribution to certain negative contexts only. For example, yet is an NPI and must appear in the scope of a negation: Mary has *(not) finished yet. The existence of NPIs such as yet gives rise to a learnability problem for language-acquiring children. How do children know that the appearance of yet, for instance, is ungrammatical without a negation based on language input only? Are children able to detect NPIs’ restricted distribution? And do they make overgeneralization errors? By investigating the acquisition of three NPIs of different strengths and categories in both corpus and experimental studies (i.e. Dutch hoeven ‘need’, English any and Mandarin Chinese shenme ‘a/some’), these questions are addressed in this book. Results of this cross-linguistic investigation show that children employ a conservative widening learning strategy to acquire NPIs, which enables them to detect NPIs’ limited distributional patterns and also prevents them from making overgeneralization errors. The exploration to the learnability of the three NPIs moreover provides answers to the question as to why NPIs are restricted to different types of negative contexts. Since different learning paths are attested for the three investigated NPIs, this book concludes that NPIs of different strengths are NPIs due to different reasons, and do not form a homogeneous class. In particular, the Dutch NPI hoeven ‘need’ bears a lexical dependency with an abstract negation neg; English any must be obligatory exhaustified; and Mandarin shenme ‘a/some’ is referentially deficient.